"The government of Narendra Modi demonetised Rs 500 and Rs 1,000 currency notes in a hasty and premature manner. This affected nearly 125 crore people of the country, mostly the poor, farmers and other hardworking people. In fact, this has proved to be a black chapter in the history of India," Mayawati said. 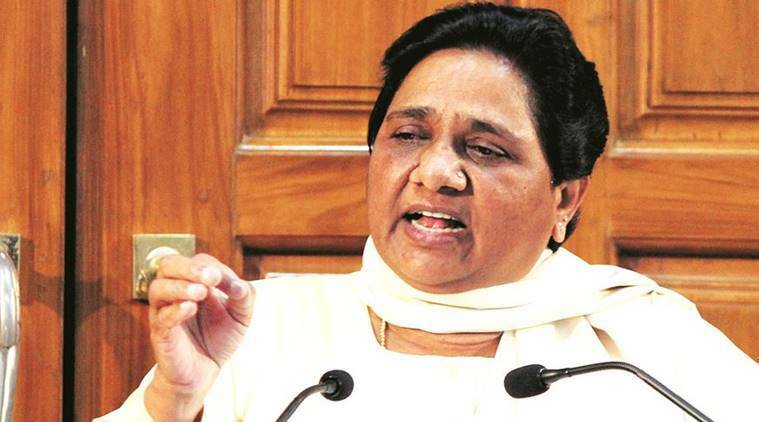 Slamming the Narendra Modi-led central government on the note ban anniversary, Bahujan Samaj Party (BSP) supremo Mayawati on Wednesday accused it of implementing demonetisation in a “hasty” manner and suggested that the Bharatiya Janata Party (BJP) observe the day as “demonetisation forgiveness day” instead of “anti-black money day”. The BSP chief also alleged that owing to demonetisation, a number of new sources of corruption have germinated, the advantage of which has been taken by “the BJP and company”. “The government of Narendra Modi demonetised Rs 500 and Rs 1,000 currency notes in a hasty and premature manner. This affected nearly 125 crore people of the country, mostly the poor, farmers and other hardworking people. In fact, this has proved to be a black chapter in the history of India,” Mayawati said in a statement here. The BSP chief alleged that due to the “stubborn approach” of the Modi government, the country is facing an “Emergency-like situation”. “The decision to implement demonetisation cosmetically appeared to end corruption in the country, but instead the corruption level increased. One after the other, acts of corruption of people linked with the BJP are coming to the fore. Paradise Papers is the latest revelation,” she charged. The Paradise Papers are a set of 13.4 million confidential electronic documents relating to offshore investment that were leaked to a German newspaper and released on 5 November 2017 into the public domain. “The silence and in-activeness of the BJP government in this matter of corruption will not remain a mystery any more, as the Modi government is now maintaining silence on almost every case,” she charged.